The New York Times offers the first installed third-party app for Google’s high tech headwear, which won’t be released until next year. New York Times released its app for Google’s Glass, the first installed third-party app available Google’s highly anticipated gadget (Read more about Google Glass here). Although Google Glass hasn’t come onto the market yet, the company allowed people to apply to be Glass Explorers, particularly to encourage developers to make apps for the device. In the first offering, 8,000 tester units of the high tech headwear were reportedly offered for US$1,500 each. The New York Times has been the first to take the bait. Although little information was made available, the newspaper’s announcement provided a link to page that allowed subscribers with the device to connect it to their NYT’s accounts. The app provides users with breaking news updates and hourly updates, the New York Times said in announcing its release. The newspaper also said users are given the option to have a summary of each article read aloud. Google’s been aggressively pushing its Glass project including to developers. At last month’s South by Southwest (SXSW) festival in Austin, Texas, Google held an event in which Senior Developer Advocate Timothy Jordan spoke at length about the product and repeatedly emphasized how simple the product’s interface makes for a relatively simple development process. Google later posted Jordan’s entire talk on You Tube. During the talk Jordan elaborated on how Google envisions the product. 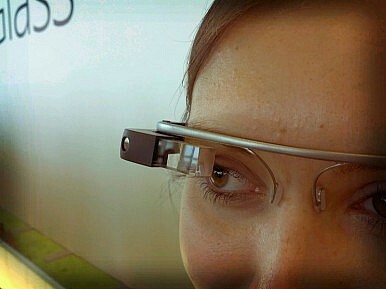 Google Glass will reportedly be released sometime next year. In other Google news, Executive Chairman Eric Schmidt released his highly anticipated book on Tuesday, which discusses how technology and the internet will shape all aspects of humans’ life even more in the future. The book, The New Digital Age: Reshaping the Future of People, Nations and Business, is co-authored with Jared Cohen, a former State Department official who worked on technology issues. Among the people interviewed for the book project was Wikileaks founder Julian Assange. The five-hour interview took place on June 23, 2011 while Assange was under house arrest in the United Kingdom. Wikileaks published the transcript on its website this week to commemorate the release of Schmidt and Cohen’s book. Could Google Glass be the next big thing in tech? We break down the rumors.